Goodreads Summary: For Nora Grey, romance was not part of the plan. She's never been particularly attracted to the boys at her school, no matter how much her best friend, Vee, pushes them at her...until Patch comes along. 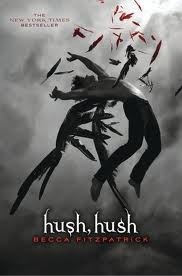 My Take: I really liked Hush, Hush. I know this book is supposed to be a romance but I think it is a mystery more than romance. There were a few things that I predicted would happen, but quite a few things took me by surprise.